Went in for my 8 week ultrasound yesterday. No baby, no heartbeat. Just a gestational sac measuring 5 weeks. 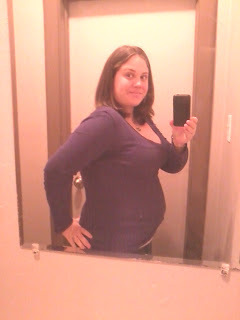 So all along that sac was causing my symptoms and bloat, but my baby never formed. I know it's a chromosome issue, nothing I did, nothing I could of done, etc. But I'm still so sad. I fully intend to try again right away. I am just waiting now to miscarry on my own. I've been bleeding since yesterday, but it isn't severe, very mild. Not sure how long it could take. I am so ready to get pregnant, have a healthy, happy pregnancy, and get my take home baby. Weight gain: 3lb. Not quite as ravenous as last week, and I've been able to go a few hours without eating without feeling like I'm goign to die. Score one for me! Maternity clothes: For comfort reasons, but not out of neccesity. Sleep: great! I love love love to sleep. I have very vivid dreams everynight but it doesn't bother me much. Best moment this week: knowing I have only 5 days and a few hours until my first ultrasound! Labor signs: happy to say none! What im looking forward to: ultrasound in 5.5 days! Milestones: another week down with no spotting or anything negative at all happening. Thats all I pray for every night. This are excellent over here! Feeling good. 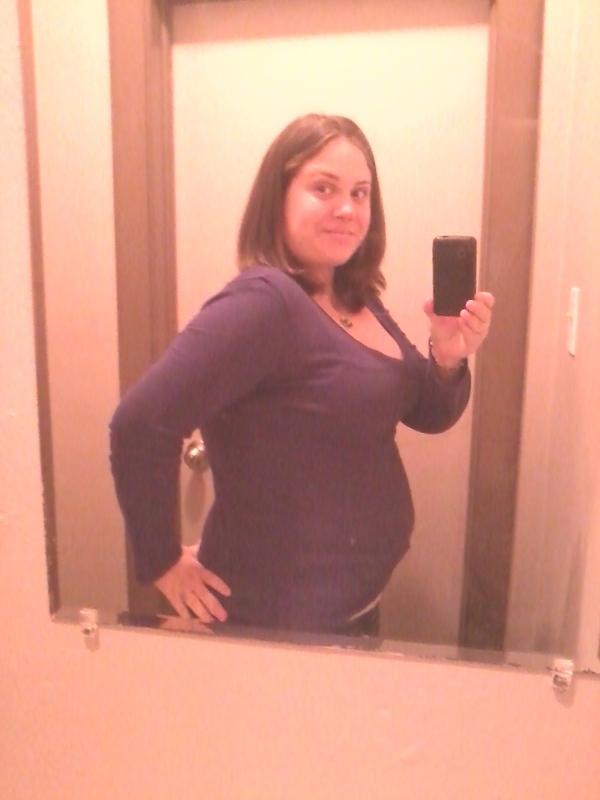 The bloat is finally going down a bit, and still no nausea. I am feeling very blessed here lately.